Girly and I love making our own Valentine's. Zach used to, but he's kind of moved away from it. He loves giving them and getting them, but sitting down to make 16 seems to be a little more than his attention span can handle these days. So, I made them for him. I decided to go with little Hershey Kiss Sleeves. I created this project many years ago, but it's always a favorite to go back to when needing little candy treats or party favors. There's so many varieties of Hershey's Kisses out there that you can even coordinate them to your cardstock and ribbon colors! For these sleeves, I chose boy colors to offset the hearts. I used the Happy Hearts set with Tempting Turquoise ink and cardstock. This set has so many hearts to choose from, it's a great all around set for cards, gifts and scrapbooking. There's quite a few words in this set and you can mix them around to create many different sayings. To do my tags, I lined up the 4 images I needed on a clear block and then inked them in black and stamped them on my Green Galore tags (which I cut with a tag punch). The sentiment fit perfectly and rather than stamping all the 4 images separately, it made it much quicker to stamp them all. They're all lined up, too! I punched a hole in the top of the tags and threaded some turquoise organdy ribbon through to tie the tags around the sleeves. I was able to find Cherry Cordial Hershey Kisses in pink wrappers and they smelled SO good. I exhibited more self control than I thought I had and didn't even try them. I needed to make sure I had enough to put in the sleeves. These sleeves can actually fit 4 Hershey's Kisses, but because I needed to make sure I had enough for all of them (and also because I knew that these kids would be getting more than enough candy), I put three inside. You can get 4 holders out of one 8.5 x 11 inch sheet of cardstock and I find it's easier to score the cardstock in one large sheet before cutting it. It really cuts down on the time. Cut a piece of patterned paper at 4 1/4 x 5 1/2. Place your paper horizontally and score at 1 1/2, 3 and 4 1/2. Follow the directions in the video to put your holder together. Enjoy! I've been promising you all to show you how I create my brayered sunsets with ink refills and I finally got a chance to work on that video tutorial last night. You'll have to forgive the lack of light....I was using natural light from the window and the clouds went in front of the sun as it was going down and then my batteries ran out right near the end of my first run. I had to re-cut everything and start a whole new video. But it's FINALLY done! Thanks for your patience. You'll find that this technique is so incredibly easy and the cool thing about it is that you don't need a rainbow ink pad to create your brayering. If you have ink refills, you can create whatever color scheme you want! I personally love to do sunsets, especially with silhouette images. For this card, I used a GinaK set - Many Wishes. The cardstock base is Gina's new Pumpkin Spice and then I added a Black Onyx layer. I embossed with black embossing powder and used black ink for the greeting, which also comes from the Many Wishes set. The ink refills I used are Cranberry Crisp, Pumpkin Pie and Summer Sun. I really love how these colors create the perfect sunset. I'd love to see your brayered creations if you try this technique out! Create your own Felt Flowers with my video tutorial! Do you remember the felt flowers that I made for my brother's Box full of "flours?" I told you I would create a video tutorial to show you how to make those cute felt flowers and I have! These felt flowers are super easy to make, they only require a few materials and chances are, you already have them in your crafting stash! They can be used for dressing up scrapbook pages, put on cards, for use on a little girl's barrette....or put a pin-back on the underside and create your own flower pins! To see what I did with a bunch of these flowers...check out my Box full of "flours" post. This past monday, I did the DIY segment over at Homespun Oasis and decided to do a video tutorial on how to make these little Hershey Kiss Holders. They're fast and easy to make and work wonderfully for favors, little gifts for co-workers or teachers, or they make great treat-filled place cards to adorn holiday tables or birthday place settings. This is another one of those easy projects for kids and they can customize them by stamping on cardstock and then personalize them by hanging a tag on them. 1. You can make this project in less than 5 minutes! 2. 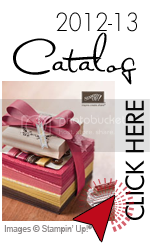 You can get 4 Hershey Kiss Holders out of one 8.5 x 11 sheet of paper/cardstock! 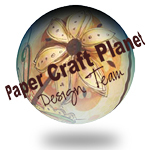 Head on over to Homespun Oasis to see a 3 minute video (with cutting and scoring dimensions!) on how to make this yummy Hershey Kiss Holder. So you know how I'm all about these Little Paper Birdies lately. I just can't get enough of them! I was asked to do the DIY segment for Homespun Oasis today and the girls thought that doing a video tutorial for the paper birdies would be a great idea. So....make sure you head on over to see a 3 minute video on how to make these adorable little birds.